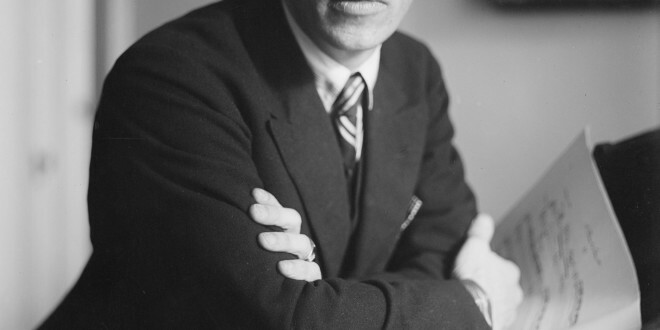 Igor Stravinsky, composer of The Rite of Spring , an orchestral work parts of which are based on Lithuanian folk melodies collected by Antanas Juška. On the evening of May 29, 1913, a riot took place in the newly opened Theatre des Champs Elysées in Paris. In an attempt to restore order, Paris police were summoned. The riot, or scandal as it is sometimes called, took place during the premiere performance of Russian composer Igor Stravinsky’s musical work, The Rite of Spring, which accompanied the ballet choreographed by Vaslav Nijinsky. It began with laughter and jeering. Fighting among audience members resulted in the expulsion of a number of them. The music was at times dissonant, variable in tempo, harshly rhythmic, and violent. It was not what the audience of sophisticated Parisians was accustomed to hearing. And the dancing? Well, it was just so unlike the usual ballet performance, with the limbs of the dancers held at odd angles and moved so strangely as to be utterly shocking and displeasing to some in the audience. 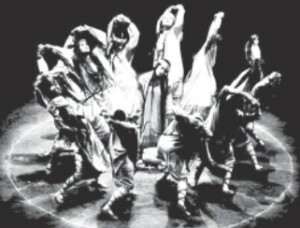 The dancing during the premiere of The Rite of Spring at the Theatre des Champs Elysées in Paris caused a riot. It was the intention of Stravinsky and Nijinsky to bring to life on the stage scenes from Russia’s prehistory. Stravinsky imagined springtime rituals, including the sacrifice of a virgin, who danced herself to death, an idea that came to him in a vision. A performance of The Rite a year after the premiere, without the ballet, brought great approval. Stravinsky was lifted above the heads of the crowd in triumph. It seems that the cause of the riot had been the dancing, not the music. The Rite as an orchestral work has since been described with superlatives like “most influential,” “most seminal,” “most recorded.” The composer’s works had, according to one musicologist, “the most profound influence on the evolution of music through the emancipation of rhythm, melody and harmony.” The Rite is probably the most written about music of all time, yet very little is mentioned by biographers and musicologists about Stravinsky borrowing Lithuanian folk tunes in its composition. Hardly anything is ever said about Stravinsky’s deep genetic roots in the soil of Lithuania. When the genteel audience settled down in anticipation of this premiere performance that evening in Paris, the conductor no doubt made eye contact with the bassoonist, then gestured for him to begin. Played on the bassoon at the highest part of its range, the soothing melody penetrating the air in the hushed theater, was intended to suggest a quiet, peaceful spring day in the land of the ancient Rus’. In reality, this music was not Russian at all, but an authentic Lithuanian melody slightly modified by the composer. The melody was the only one Stravinsky admitted to having borrowed: “The opening bassoon melody in Le Sacre du printemps is the only folk melody in that work. It came from an anthology of Lithuanian folk music I found in Warsaw,… the anthology was a recent publication.” Andre Schaeffner in a book titled Strawinski (Paris, 1931), was the first to identify the collection to which Stravinsky was referring: Melodje ludowe litewskie (Lithuanian Folk Melodies), published in Cracow in 1900 and based on the posthumously published work of Antanas Juška, a Lithuanian priest and folklorist. Schaeffner did not have a copy of the Polish edition; he relied on Stravinsky’s memory about his source. The anthology contained 1,785 dainos (songs), each with its melody and beginning lyrics. The melody in question was the intellectual property, perhaps, of a certain Mrs. Šviderskas (Šviderskienė), a resident in or near the Lithuanian town of Veliuona. She is mentioned here to give credit where it is due as well as to illustrate the professional thoroughness with which Juška worked. He recorded the names and other data about the singers, which folklore collectors before him had not done. The rest of The Rite of Spring, it was assumed, emerged from some creative center within Stravinsky’s own brain: “I had only my ear to help me. I heard and I wrote what I heard. I am the vessel through which Le Sacre passed.” The source of the bassoon melody is daina 157. As we shall see, Stravinsky’s statement about that being the only borrowed tune was not quite true. There were more. Example of Stravinsky’s borrowings from Juška in The Rite of Spring. Above is the bassoon melody in the introduction (a) compared with Juška’s daina number 157 (b). Parts of a total of six Lithuanian dainos are thought to have been used by Stravinsky. Antanas Juška (1819-1880) was born in Daujotai in the county of Kaunas and died in far-off Kazan, Russia where his brother Jonas (1815-1886) had been employed as a teacher. They were the sons of a landless Samogitian bajoras, or lesser noble. Antanas, a prolific lexicographer and collector of Lithuanian folklore, recorded a total of about 7,000 dainos, many of which were published soon after his death through the efforts of Jonas. Two volumes, titled Lietuviškos Dainos (Lithuanian Folksongs) were published in Lithuanian at Kazan in 1880 and a third in 1882. A two-volume collection of Lithuanian wedding songs, Lietuviškos Svotbinæs Dainos, was published in 1883 in St. Petersburg. The publication of these works in Lithuanian was quite a heroic feat, because it was undertaken during the time of the abominable press ban, in effect from 1864- 1904. Printing anything in the Lithuanian language, using Latin letters, anywhere in the Russian Empire was strictly forbidden (strogo vospreshchaetsya!). Fortunately, Jonas found allies in Russia, most notably Jan Baudoin de Courtenay, a Pole of French ancestry, who sympathized with Russia’s downtrodden minorities and could see the merit of Juska’s work. It seems it was permissible to print these songs in Lithuanian, so long as copies of this scholarly work were not distributed among the rebellious Lithuanian people. It was Baudoin de Courtenay who helped see to it that the melodies, with beginning lyrics, of the 1,785 dainos were published, and it was this collection that Igor Stravinsky got his hands on. A revealing analysis of the score of The Rite of Spring was done by Lawrence Morton (1904-1987), a Californian prominent in the music field and friend of Stravinsky. Morton went on a tedious “fishing expedition,” comparing the musical score of The Rite with those of Juška’s anthology and reported his results in the journal Tempo in March 1979. His fine catch consisted of borrowed portions of five Lithuanian dainos, which had not been mentioned by Stravinsky. These were in addition to Number 157 of the Juška anthology. Another example of borrowed folk music in the trilled flute tune (tranquillo) at start and end of Spring Rounds (a) compared wuth Juška’s dainos numbered 249 and 271 (b and c), portions of which were joined together and made into a hybrid tune. Morton points out that Number 157 contains a motif three measures in length at its beginning and end. The motif is found so frequently among other dainos in the collection that it allows the conclusion that it is “among the principal and most common elements of Lithuanian folk music.” So, in a sense, the listener to the bassoon solo at the beginning of The Rite is indeed hearing a typical Lithuanian tune. It is usual for folksongs to occur as variants of the same concept. A variant of 157 was recorded in Lithuania Minor (East Prussia) by Liudvikas Rėza in the first quarter of the nineteenth century. In an introduction to the reprinted Juška collection, The folklorist and musicologist Zenonas Slaviūnas singled out 157 as containing particularly old elements, such as the term baudžiauninkas (serf). Dainos were passed from mothers to daughters and from grandmothers to granddaughters. Over time, these folk songs underwent change, yet elements from long ago were maintained. Simple curiosity might have compelled Stravinsky to wonder about the meaning of the lyrics. Although a polyglot, surely he was not able to read Lithuanian, so the lyrics were not accessible to him, and, furthermore, the complete lyrics were absent in the Polish anthology. What he was after was just the right tune to suit his artistic purposes. 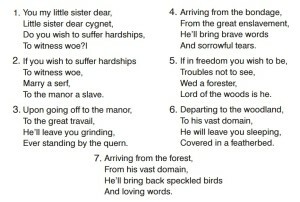 Number 157, or “Tu mano seserėle” (You my sister) is a charming daina, in which a sister is being advised rather crassly by a sibling not to marry a serf and be unhappy, but to marry a forester who would provide pure contentment. There is nothing in the lyrics or the melody remotely suggesting a pagan sacrifice in ancient Russia. Morton noticed that dainos 157 and 142 are printed at the bottoms of pages 21 and 19 respectively, in the Polish anthology. He suggested that these songs caught Stravinsky’s attention while he was casually riffling the pages of the book rather than doing a thorough perusal. Number 249, a third borrowing, was printed at the very bottom of page 35, reinforcing the hypothesis of a casual selection on the part of Stravinsky. Statisticians would agree that three out of a total of six bottom-of-the-page melodies selected from a collection of 1,785 seems too improbable to have happened by chance. Morton states that the theme of the part of The Rite called “The Ritual Abduction” was composed by a reworking of daina 142. While the pattern of notes tells us that Morton was quite correct in this assertion, The “Ritual Abduction,” being rapid in tempo (presto) sounds nothing like a Lithuanian daina. Morton points out a pattern of arching of the pitches in the melody and in its Stravinsky derivative. Then he lists examples of this same pattern in twenty other dainos in the anthology, thus revealing another characteristic common in Lithuanian folk song. LEFT: Antanas Juška, lexicographer and folklorist. He distinguished himself in philology and ethnology, although he had no formal training in these fields. He served as a priest in Veliuona and Alsė- džiai and died in Kazan, Russia. 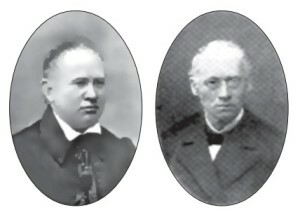 RIGHT: Jonas Juška, brother of Antanas. He graduated from the University of Kharkov where he studied classical languages and later taught them at several gymnasiuns (high schools) in Russia. He was instrumental in getting Antanas’ work published. Perhaps the least convincing borrowing is a motif in “Augurs of Spring,” played on the English horn, and in the “Introduction,” where the violins introduce it. Morton thought this motif, just four notes in length, could have been inspired by Juska’s daina Number 34. Musicologist Richard Taruskin points out that the motif is common in Russian folksongs, but he identified no specific Russian source. Morton admits that here we might have to engage in a bit of “suspension of disbelief” for this short motif, but in the bassoon’s theme in “Augurs of Spring” less suspension of disbelief is required to see that it is based on Number 787. At the beginning and end of “Spring Rounds” we encounter a sort of hybrid folk song composed by Stravinsky from parts of Juška’s 249 and 271. This is a simple tune, trilled on flutes, and, as Morton points out, is one of the few long-lined melodies in The Rite. Why had Stravinsky chosen Lithuanian melodies in the composition of portions of The Rite? It has been suggested by Taruskin that Stravinsky’s advisor on Russian folklore and prehistory, Nikolai Roerich, advised him to look to Lithuania, which in 1387 was the last nation in Europe to officially give up paganism in favor of Christianity. The reasoning might have been that Lithuanian music would be more authentically primitive and suit his needs more closely. Would Stravinsky have hesitated to use material from a culture that wasn’t even Slavic, let alone Russian? Did he pause for a moment and wonder whether the Lithuanians would be insulted by his borrowing of tunes from them to use in his savage, pagan and Russian musical work? Did he think that theirs was a barbarian culture extant in the mid nineteenth century? 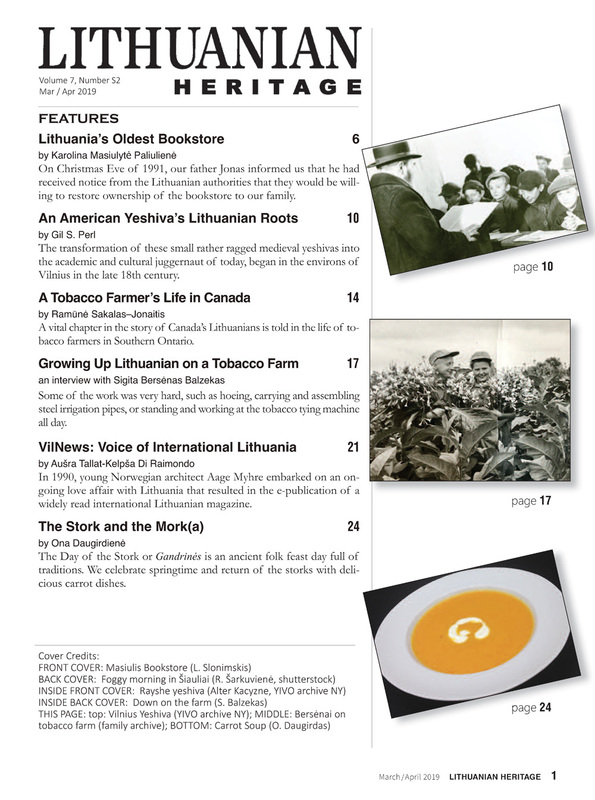 These issues aside, what is intriguing about these Lithuanian connections to The Rite of Spring is that the composer himself is profoundly linked, both historically and genetically, to Lithuania. There is little doubt that the Stravinsky surname originated in the region around the Strėva River, which meanders across the glaciated Lithuanian landscape, beginning near Trakai and ending at its confluence with the Nemunas. Contrary to the way some would have it, this little river flows entirely within ethnographic Lithuania, never straying into a foreign land. In places it is a babbling brook, in other places a sluggish, canal-like stream. Viewed on the map, the Stršva is a thin thread playing a sorcerer’s game of now-you-see-me, now-you-don’t by metamorphosing into a pristine boreal lake rimmed with coniferous forest, exiting and transmuting into a proper stream once again, only to disappear into another lake. 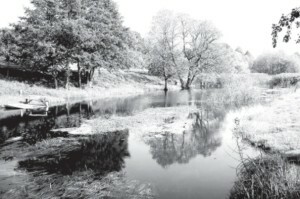 Finding the place of outflow on a lake where the Strėva resumes its river avatar can be challenging. It snakes westward and is finally transformed into a hydroelectric reservoir. The word strėva is an adjective, meaning rapid or torrential as applied to streams; it is related to Sanskrit words meaning “flow.” In Polish, Strėva becomes Strawa. The name Stravinsky most likely came into being as the polonized name of a Lithuanian family, possibly Strėvinis or Strevenis, living in the vicinity of and strongly identifying with the Strėva River. English translation of the lyrics of daina number 157 titled Tu mano seserėle, the melody of which Stravinsky modified and used as the introduction of The Rite of Spring. Igor Stravinsky himself quite wrongly identified the Strawa as being tributary to the Vistula in Poland. There is a river called Strawa near the Polish town of Piotrkow, but there is no known connection between that river and the name Stravinsky. Records from the fourteenth century mention a Strėvininkai district. It is thought that at the place called Mūro Strėvininkai there had been a wooden castle burned in 1368 by the Teutonic Order. Chroniclers of the Order identified the place as Streben. There is a record of a Stravinsky having sold the estate of Mūro Strėvininkai to Marijonas Bagdonas Oginskis around 1600. The term mūro refers to constructions of brick and mortar as opposed to wood, which is the case for the village appropriately called Mediniai Strėvininkai located to the west near the course of the Strėva. In 1701, Jerzy Stravinsky inherited a village or “settlement” in the “Strava Region” called, in Polish, Szokinie. Most likely, this place was called Šokiniai in Lithuanian, meaning “The Dancers.” Some time in the 1700s, Jerzy’s son Stanislaw Stravinsky, a putative ancestor (great-great-greatgrandfather?) of Igor, is said to have sold this estate to a nephew. References to Szokinie appear in biographies of Igor Stravinsky, in which it is erroneously stated that the place is located in Poland. Although it does not exist today, there is a record of a settlement named Szokinie in an official 1780 inventory for the municipality of Žiežmariai, a town on the Strėva. This inventory is archived in the Lithuanian Academy of Science’s Vrublevskis Library in Vilnius. Numerous Stravinskys played magisterial roles in the history of the Grand Duchy of Lithuania. They were landowners, some of whom held august and splendid titles as members of the zlachta, a class consisting of nobles who were Polish or polonized Belorussians or Lithuanians. On one branch of the family were four brothers, Martin, Erasmus, Christopher and Balthazar. Three of them held titles in locations within the Grand Duchy. Martin, who died in 1604, was castellan of Minsk and Vitebsk for a time and later of Brest-Litovsk. Still later, he became vaivode (governor) of Minsk. Christopher was czesnik (cupbearer) of Ašmena and chamberlain of Trakai. Balthazar, who died in 1633, had been vaivode of Mozyr. There was a Jan Stravinsky, straznik (watchman) of Trakai province, and a Leon Basil, miecznik (sword bearer) of the same Lithuanian province. The Strėva River flows through the Trakai and Kaunas districts of Lithuania. A battle between the Lithuanians and the Teutonic Knights was fought on the frozen river in 1348. The Stravinsky name is said to be derived from the Lithuanian name of this river. 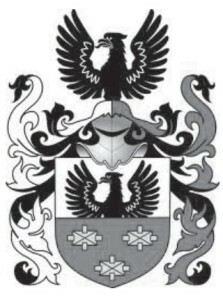 The Stravinsky ancestors in Igor’s lineage bore a coat of arms called Sulima. Igor mistakenly stated that Sulima was the name of another tributary of the Vistula River in Poland. It is a name that may have been borrowed by heraldists from Germany or possibly Ukraine. The name’s meaning seems lost in the mists of time, but there are records of its use in mid nineteenth century Poland. There are villages in both Lithuania and Poland with names based on Sulima. Igor named a son Soulima. Contrariwise to their westwardflowing eponymous river, some Stravinskys strayed east, deeper into the parts of the Grand Duchy that make up the territory of present-day Belarus. Having been polonized early on, some of them became russified. Russ- ification generally means baptism in the Russian Orthodox Church and speaking Russian. This happened to Igor’s father, Fiodor, whose father, Ignacy Ignatovich Stravinsky (1809-1893), was a Roman Catholic who regarded himself a Pole, whereas Fio-dor’s mother was Orthodox and Russian. According to Imperial Russian law, a child born to mixed parentage had to be baptized Orthodox. Ignacy Ignatovich was a leaseholder, estate manager and agronomist in Novyj Dvor near Gomel, in the province of Minsk. His son Fiodor became an opera singer and actor. Fiodor’s son Igor was born in Oranienbaum near St. Petersburg. This line of Stravinskys could be compared to the ever-metamorphosing river of the land of their origin with regard to their own changeability: in a half-dozen generations it went from Lithuanian to Polish to Russian. Igor took this farther by stepping off the boat at New York in 1939, eventually becoming a naturalized American citizen, as so many Stravinskys and Stravinskases had done before him. A cursory search of Ellis Island immigration records shows persons by the name of Stravinsky, and the Lithuanian equivalent Stravinskas, as coming mostly from Lithuania. Prior to 1920, the nationality of these immigrants was usually given as Russian, but their first names and places of former residence generally betray them as Lithuanian. Pennsylvania was a frequently listed destination, and U.S. Census records show a concentration of the Stravinsky or Stravinskas name in that state. 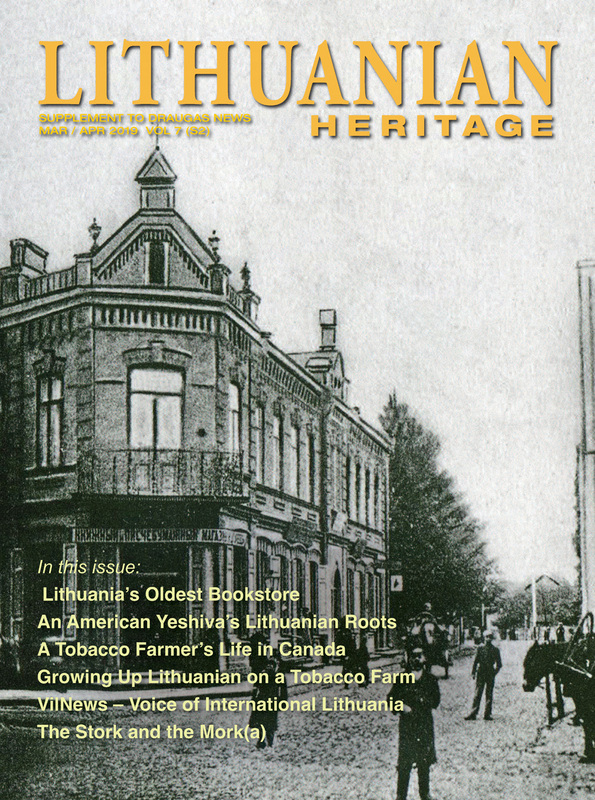 Stravinskas is not an uncommon name in present-day Lithuania; there were 190 families with this name reported in a book of surnames. including the family of which Igor Stravinsky was a descendant. The exhumed remains of the brothers Juška were lovingly transferred from Kazan to Lithuania in 1990. Jonas had gone to Kazan because he had been unjustly denied the opportunity to work as a linguist or teacher in Lithuania. The reason: his brother Antanas had been accused of having connections with the insurrection of 1863, a case of guilt by familial relationship. Antanas had gone to Kazan to stay with his brother while he worked on his precious folk material, but tragically died before anything had been published. These two Lithuanians were welcomed home as heroes and laid to rest in the churchyard of the Veliuona church. Igor Stravinsky, cosmopolite to the end, was buried in the Russian corner of the cemetery of San Michele in Venice. Next Have a Fruitful Spring!